An anonymous bidder is paying $70,500 to have lunch with former Federal Reserve Chairman Ben Bernanke. 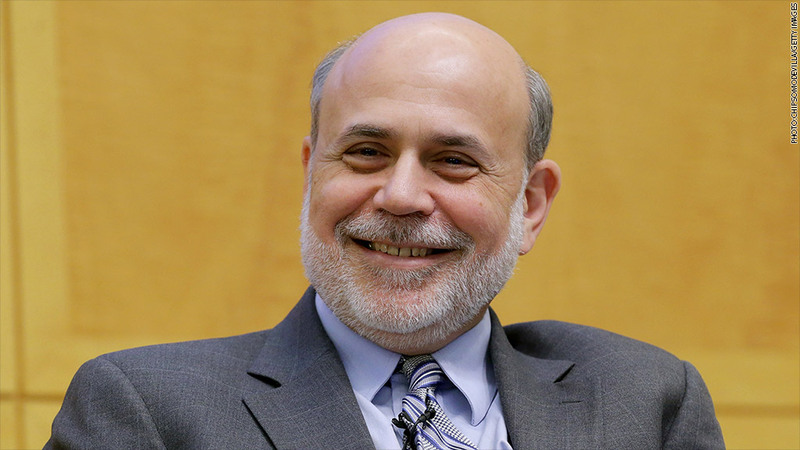 Two anonymous bidders paid a pretty penny Tuesday to have lunch with Ben Bernanke and Timothy Geithner. Bernanke will have lunch with the bidder who paid $70,500 for the privilege. The former Federal Reserve chairman picks the restaurant. Former U.S. Treasury Secretary Geithner is a slightly cheaper lunch date, with a winning bid of $50,000. Proceeds benefit the human rights charity the RFK Center for Justice and Human Rights. The charity is auctioning off a series of celebrity packages through bidding site Charitybuzz, which takes a 20% cut. Charitybuzz has auctioned off similar experiences with business titans such as Yahoo CEO Marissa Mayer, Virgin CEO Richard Branson and Tesla (TSLA)CEO Elon Musk. By far the biggest bid, however, went to Apple (AAPL) CEO Tim Cook, with the winning bidder paying $610,000 for a half an hour coffee chat. Investor Warren Buffett popularized lunch dates for charity starting in 1999. In 2012, one of his lunches went for a record $3.5 million.